After having some delicious EMU we walked from Maya and Maya Emu restaurant to Petawrap. I have had Petawrap before and I loved it. We reached Petawrap quite soon because we had emu power in our belly. We ordered for a Chicken Sheek Kebab Wrap and a Chicken Manchurian Wrap. On receiving them,we felt that the wraps had become a bit smaller in size. 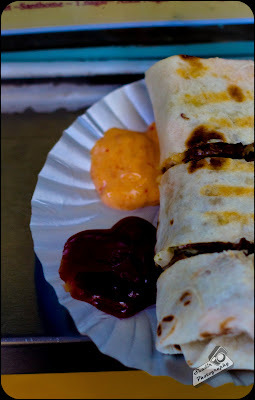 We sampled the Sheek wrap first, I felt it wasn't as juicy as before. After this I sampled the Manchurian Wrap, I simply loved it. 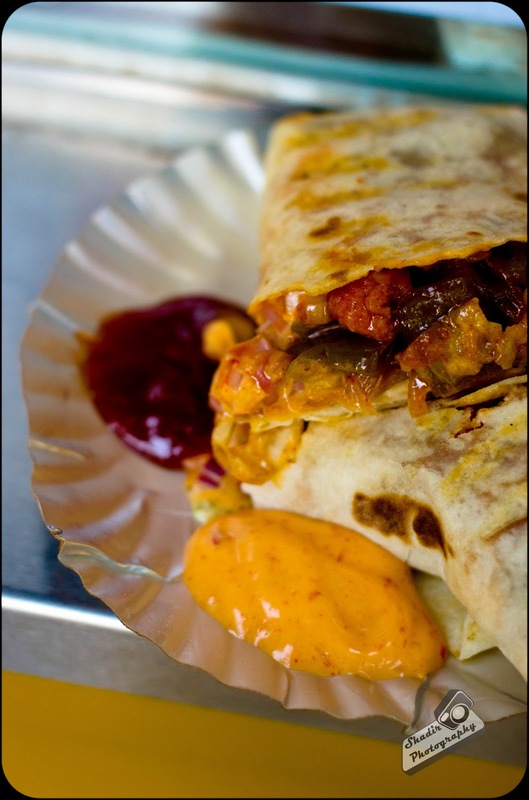 It was spicy and juicy, just the things which we expect from a wrap. The spicy sauce which they serve with the wrap is very spicy, do have water close by when you sample it. The Cost of 2 wraps was Rs 80 /-. Definitely worth every penny and a very decent meal on the go. We guys felt gutted that Varam was closed, since we missed some delicious Dosas. Ambiance - It's an outdoor stall! 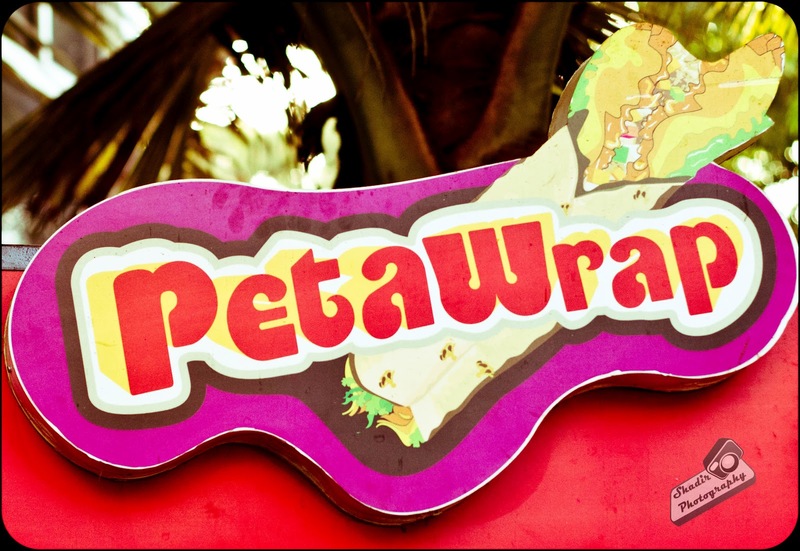 Petawrap is located in the Parking lot of Fish and Fresh. There are many more outlets in various locations.